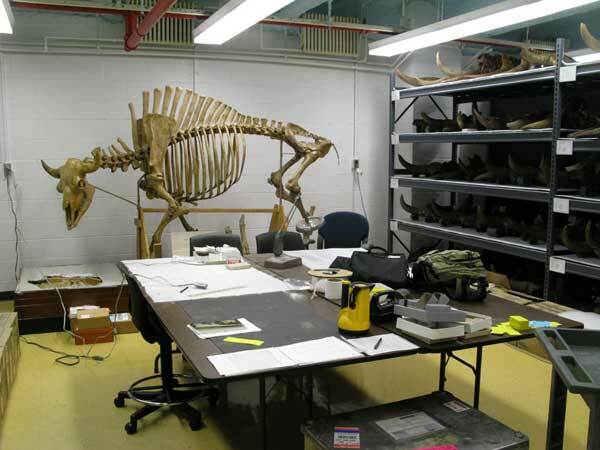 I visited the American Museum of Natural Hirtory in New York during 30th September to 7th October, and collected basic data from artiodactyl fossils (Bovidae, Cervidae, and Giraffidae) from Siwaliks of Indo-Pakistan. At first, I checked the stocking boxes and the number of those specimens. The process observing the specimens is as follows: (1) noting label data (specimen, locality, horizon, and so on); (2) sketching and noting the specimens'characteristics; (3) measuring; and (4) taking pictures. Also, I took molds of specimens if case of need. 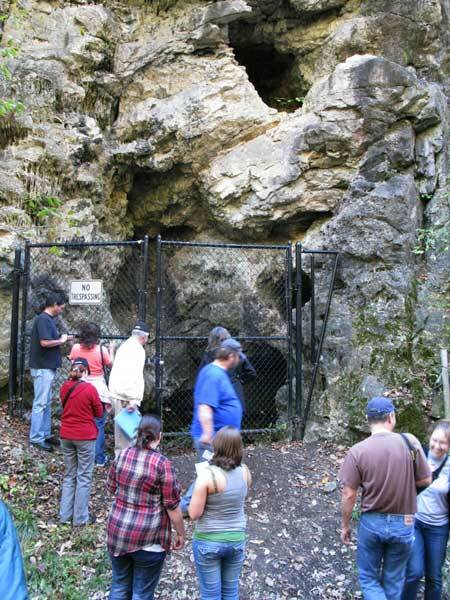 On 9th to 13th Oct. , I attended a meeting of the Society of Vertebrate Paleontology at Pittsburgh, and visited classical cave fossil sites in Pennsylvania at the first day. These fossil sites have been yielded a lot of mammalian fossils, so that many researchers attending this field trip are interested in them. I could exchange opinions with them in this trip. 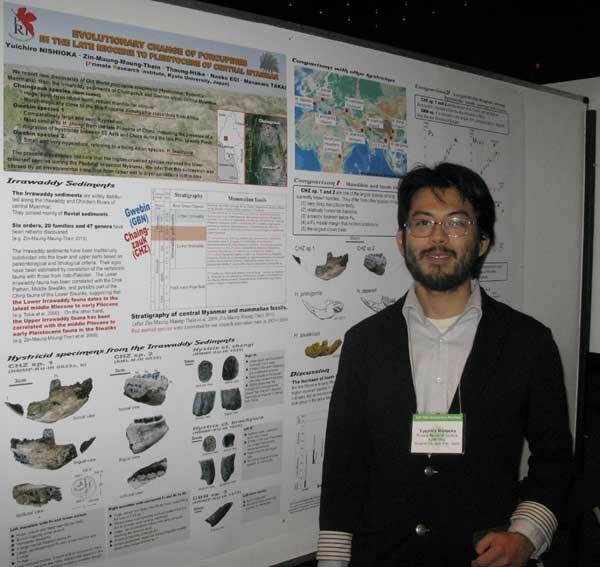 During 10th to 13th, I attended the meeting and presented my study in a poster session.